The Prospectors and Developers Association of Canada (PDAC) has begun its annual public lobbying effort to insure that Canada’s mineral exploration tax credit (METC), a program formerly known as the investment tax credit for exploration (ITCE) and more generally as the "super" flow-through shares (FTS) program, remains a part of Canada's tax code for another fiscal year. While Canada might not understand the functional similarities between mining and space activities, other countries certainly do. As outlined in the October 26th, 2015 post, "Say Hello to the New US Commercial Space Launch Competitiveness Act," the US government recently defined and codified the ability of individuals and the private sector to stake claims over space based assets in a manner consistent with existing US mining law, which should give US based companies such as Deep Space Industries and Planetary Resources a "first mover" competitive advantage in the new industry. 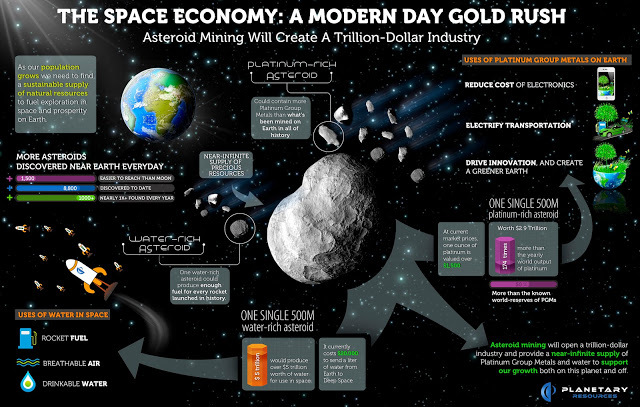 As outlined in the February 3rd, 2016 Space News post, "Luxembourg to invest in space-based asteroid mining," Luxembourg has announced similar measures. Graphic c/o Planetary Resources. As outlined on the PDAC website, super flow through shares help the Canadian mining industry to self-fund projects and grow smaller companies. Canada has one of the largest global mining supply sectors with more than 3,700 companies supplying engineering, geotechnical, environmental, financial and other services to mining operations. These firms contributed $57Bln CDN to Canada’s gross domestic product (GDP) in 2014. according to the Mining Facts website. But the mining industry also possesses more than a passing resemblance to the much smaller Canadian space industry (200 companies contributing $3.3Bln in 2013 according to the the Space Economy at a Glance 2014). Both possess inherent risks, require high-up front costs, and have long lead times before any return on investment could reasonably be expected. And both engage in resource exploitation. Would the space industry benefit from the same taxation regime which has benefited the mining industry? The first peer reviewed paper to make an explicit, demonstrated and causal connection between mining and space activities was the 2005 paper “Historical Investment Financing of Exploration for New Worlds, Current Analogies to Other Industries, and Ideas for the Future,” which was initially presented at the 7th International Lunar Conference in September 2005 and then revised for presentation at the 25th Annual International Space Development Conference (ISDC 2006) in May 2006. A 2008, a second paper, initially presented at the 2008 Canadian Space Summit under the title, “Creating A Robust Canadian Space Research Exploration & Development Industry - The Canadian Mineral Industry Flow-Though Share Analog,” made explicit the causal connections between the successful Canadian mining industry and specific Canadian tax code provisions. As outlined in the paper, other industries, such as the space industry, could use the concept of flow through shares to mitigate the investment risk traditionally associated with taking a speculative position in junior companies. The PDAC webpage focused around "super" flow through shares, highlighting the PDAC pre-budget submission for Budget 2017, along with case studies and an overview of their effect on the mining industry. As outlined in the May 17th, 2004 Northern Miner post, "Flow-through shares: a history," the concepts behind flow through tax credits have been around for 50 years and are well known. They're intended specifically to reduce "the risk for investors, thereby encouraging them to take a speculative position in junior companies." This is the opposite of traditional methodologies used to grow the Canadian space industry, which focus around "capacity building" or the creation of one or two large firms, through the use of selective government contracts and funding. Screen shot c/o PDAC. By 2012 the Canadian Space Commerce Association (CSCA) felt comfortable enough with the concept of super flow through tax credits to include a request for them among the recommendations it presented to the David Emerson led Aerospace Review. As outlined in part two of the three part CSCA submission under the title, "Using Tools from the Mining Industry to Spur Innovation and Grow the Canadian Space Industry," Canada "has unparalleled expertise in all areas of terrestrial mining and this expertise has been developed through a national tax and legal infrastructure which helps to fund new start-ups and grow existing players." The submission went on to say that, "a similar tax and legal framework would allow our indigenous space sector to self fund exploration, innovation and development in the very same way that those equivalent terrestrial functions are currently self funded in the Canadian mining industry." Since then, although other nations (such as the US and Luxembourg) have begun to make the connections between mining, exploration and space, nothing further has happened in Canada. Here's hoping the situation changes soon. Canada needs more discussion on how to expand our space activities through self-funding and less discussion on "capacity building," or "collaborating," or contributing components for projects designed and led by others. Chuck Black is the editor of the Commercial Space blog. He also wrote the second of three CSCA submissions to the 2012 Emerson Aerospace Review. The Schiaparelli Entry, Descent and Landing Demonstrator Module (EDM), a joint mission of the European Space Agency (ESA) and the Russian space agency Roscosmos, has apparently crashed on Mars and its wreckage has been located. As outlined in the October 21st, 2016 Universe Today post, "Schiaparelli is gone, Smashed on to the Surface of Mars," the Schiaparelli lander "hit the ground hard and may very well have exploded on impact." Photo's from the US Mars Reconnaissance Orbiter taken before and after Schiaparelli's decent, suggest a very hard landing "following a much longer free fall than planned after the thrusters were switched off prematurely." Image c/o NASA. As outlined in the October 19th, 2016 Spaceflight Insider post, "Lost on Mars: Schiaparelli lander falls silent shortly before touchdown," the Schiaparelli lander, the first of the two part exobiology on Mars (ExoMars) astrobiology project designed to search for evidence of Martian life, ceased communicating with ESA mission control approximately one minute before its planned touchdown on October 19th. On Oct 21st , NASA released photos of the landing site taken by its Mars Reconnaissance Orbiter (MRO) which seem to confirm the ExoMars team’s suspicions. The MRO’s photos show a bright feature consistent with Schiaparelli’s 12 meter wide parachute, as well as a 15x40 m dark patch likely created by the lander's impact, ESA officials said. The ESA estimates that the lander dropped from a height of between 2 and 4 kms, impacting Mars’ surface at speeds of over 300 km/h. ESA officials also stated that Schiaparelli may have exploded on impact due to its thruster propellant tanks, which likely remaining full because the lander did not fire its descent thrusters for as long as required to slow the decent. The suspected crash site lies about 5.4 km west of Schiaparelli's intended landing site in Mars' Meridiani Planum, a highland region just south of the Red Planet's equator. The impact site is well within the planned landing area, which measures 62 miles long by 9 miles wide (100 by 15 km), ESA officials said. Schiaparelli was launched last March along with its orbiter, the ExoMars Trace Gas Orbiter (TGO). The two spacecraft comprise the first phase of the two-phase ExoMars program, being led by the ESA in partnership with Russia’s federal space agency, Roscosmos. Schiaparelli was to have served as a test bed for life-hunting technologies to be used on a rover in ExoMars' second phase in 2021. ESA officials have stated that Schiaparelli's descent data will still be useful in this regard despite the probe’s loss. The TGO remains in good condition and is now orbiting Mars. In early 2017, the TGO will begin shifting to its final science orbit of some 400km above Mars. The TGO is expected to complete this manuver and begin its two year mission in March 2018. The TGO will investigate the origin of methane and other trace gases in the Martian atmosphere. Methane is of particular interest to scientists as a potential sign of life. The TGO will also serve as a communications relay for the ExoMars 2020 rover as well as NASA’s currently operational Mars surface craft, the Opportunity and Curiosity rovers, before winding down in 2022. ExoMars’ project manager Don McCoy, an engineer born in Winnipeg, MB. Holding degrees in chemistry, civil engineering, and aerospace engineering, McCoy has worked on the Hubble Space Telescope, the ESA’s Huygens probe as well as the Mars Express and Venus Express missions. He was appointed ExoMars project manager in December 2006. Dr. Livio Tornabene, from Western University, the Canadian co-investigator on the colour and stereo surface imaging system (CaSSIS) imager onboard the TGO. 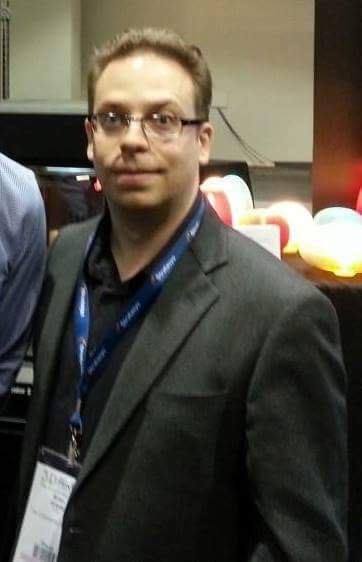 Dr. Ed Cloutis, from the University of Winnipeg, who will investigate the composition of dust in the Martian atmosphere as a co-investigator as part of the ExoMars TGO Nadir and Occultation for MArs Discovery (NOMAD) science team. Richmond, BC based Macdonald Dettwiler (MDA) which, as outlined in the October 2nd, 2013 MDA press release, "MDA to Supply Key Mars Rover Elements on European Mission," is currently developing and building the wheels and suspension system (called “BEMA”) for the upcoming ESA ExoMars Rover due to be launched in 2020. 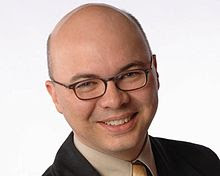 Brian Orlotti is a regular contributor to the Commercial Space blog. 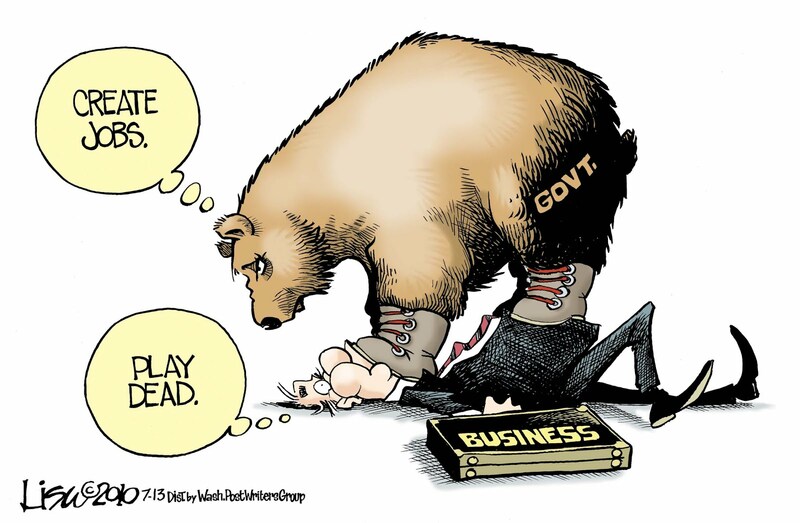 One type of government driven innovation policy. Cartoon c/o Lisa Benson/ Washington Post. The annual Canadian Science Policy Conference (CSPC), this year being held from November 8th - 10th, 2016 in Ottawa, has traditionally filled an important Canadian need for non-partisan, inclusive and national dialogue on science, technology and innovation policy. But this year, the event might carry more weight than usual. As outlined in the June 13th, 2016 post "Government Announces Comprehensive Review of Canadian Science," the Federal government has announced an independent panel, to review the activities of the National Research Council (NRC), the Social Sciences and Humanities Research Council (SSHRC), the Natural Sciences and Engineering Research Council (NSERC), the Canadian Space Agency (CSA) and the Canadian Institutes of Health Research (CIHR), as well as programs like the Canada Foundation for Innovation (CFI), the various Canada Research Chairs, Genome Canada and others. That panel, expected to report before the end of this year, will affect all who normally attend and many are hoping that expected policy changes will be announced in time for discussion at this year's event. Commercial Space blog correspondents will be on-site at the Shaw Centre during this year's CSPC to keep readers up to date on breaking news and activities. Expect to see thrills, chills and more than a few spills. EDC, a Federally owned crown corporation with headquarters in Ottawa. As outlined on the its website, "Export Development Canada provides Canadian exporters with trade financing, export credit insurance and bonding services, as well as foreign market expertise." Photo c/o Corporate Knights. Speaking of government policies designed to encourage innovation, questions are arising as to whether or not Richmond, BC. based MacDonald Dettwiler (MDA), should remain eligible for Export Development Canada (EDC) money and assistance when it flows through foreign subsidiaries and facilities with no perceived direct benefit to Canada. As outlined in the October 18th, 2016 National Post article, "EDC financing satellite construction in California because of ‘direct benefit’ to Canada," EDC funds have recently been used for several non-Canadian projects being built in California for Spain and Azerbaijan. According to the article,"in March 2015, EDC announced it was providing $190 million to a Spanish telecommunications operator for a satellite to be built by SSL (Space Systems Loral, a California based subsidiary of Delaware incorporated SSL MDA Holdings, the holding company which controls both MDA and SSL)... Seven months later (the Republic of) Azerbaijan said EDC was financing another telecommunications satellite at the U.S. facility at a cost of about $191 million. In its news release about the Azerbaijan satellite, MDA highlighted SSL’s status as a U.S. company." Eligibility for EDC support gives the US based SSL a competitive advantage against other US based organizations, since "the U.S. government’s version of EDC, (the) Export-Import Bank (of the United States), has been closed for large transactions since last year because of U.S. Congressional opposition to the organization." The article also contained quotes from Steve Staples, the vice-president of the Rideau Institute; Brian Masse, the New Democratic Party’s critic monitoring the innovation, science and economic development file (who said last Monday in the House of Commons that MDA has shifted to US control “right there under the Liberals’ noses.”); Innovation Minister Navdeep Bains and Commercial Space blog editor Chuck Black. RADARSAT-2 product description from the MDA website. RADARSAT-2 is an Earth observation satellite launched in 2007 from the Baikonur Cosmodrome. It's owned and operated by MDA, which resells data collected by the satellite for profit to Canadians and others. For the complete document, simply click on the graphic above. Graphic c/o MDA. Of course, EDC funds, financing and guarantees are not the only mechanisms the Federal government uses to support innovation and promote Canadian companies. As outlined in the October 22nd, 2016 post, "The Canadian Space Agency Gave Out Almost $5Mln CDN in Grants and Contributions Last Quarter!," the CSA provided fourteen grants to various public and private organization in Q2 2016 (from March - June 2016) and nine of those grants were made to academic institutions in order to develop new uses for data derived from interferometric synthetic aperture radar (InSAR). At present, the primary Canadian supplier of InSAR data is MDA, which collects and resells the data as part of its RADARSAT-2 operational responsibilities. And, as outlined in the September 8th, 2014 post, "Space Agency Funds Training for RADARSAT Researchers," the current grants grew out of an earlier decision to "develop a larger pool of Canadian post-secondary researchers able to work with RADARSAT-2 data." The nine grants were for small amounts (approximately $50K CDN each) and arguments can certainly be made that developing new uses for data derived from Canadian space assets is good for Canada, since it increases our national capabilities. An argument could also be made that MDA benefits from having our national space agency fund the development of new applications for its products. Overall, the story is simply a reminder that developing government policy focused around encouraging "innovation" is a complex business with many unknowns. SpaceX founder and CEO Elon Musk. Photo c/o The Verge. Unless, of course, you're Elon Musk. As outlined in the October 23rd, 2016 Verge post, "Here’s what we learned from Elon Musk’s SpaceX Reddit AMA," the South African-born Canadian-American business magnate, investor, engineer and inventor "took to Reddit this evening for an Ask Me Anything session," to supplement his September 27th, 2016 presentation from the 67th International Astronautical Conference in Guadalajara, Mexico. As outlined in the October 3rd, 2016 post, "Mr. Musk Goes to Mars," Musk used the earlier event to outline his ambitious plans to colonize the red planet. Musk has spent his career solving problems (in this case, the problems surrounding the need to make humans a "multi-planet species") under the assumption that innovation and other benefits derive naturally from an environment created to solve complex problems. It's a solution which Canadians were once well able to grasp, especially when it came to expanding our northern communications (which led directly to the creation of Telesat) or building the International Space Station (which led SPAR Aerospace to create the first Canadarm). But it might also be a lesson we've mostly forgotten. For more on Musk's Reddit presentation, check out the October 23rd, 2016 Reddit post, "I am Elon Musk, ask me anything about becoming a spacefaring civ!" For more updates on these and other stories, be sure to check out future posts on the Commercial Space blog. The Canadian Space Agency Gave Out Almost $5Mln CDN in Grants and Contributions Last Quarter! CSA Disclosure of Grants and Contributions Awards Page. Screenshot c/o CSA. It's worth noting that recent stories and press releases focused around individual Canadian Space Agency (CSA) initiatives are really only a partial representation of the funds provided through the CSA at any one time. These include stories such as the October 21st, 2016 CNW Telebec post, "Une nouvelle technologie médicale de pointe sera mise à l'essai dans l'espace - Cette technologie de surveillance peut être utilisée sur Terre pour les soins de santé," focused around the astroskin smartshirt and the upcoming health experiments planned for the International Space Station (ISS) as discussed in the October 18th, 2016 Globe and Mail post, "Canadian Space Agency to conduct health experiment on space station." To get a true sense of what's happening, you need to visit the CSA disclosure of grants and contributions awards page, a quarterly compilation of CSA grants and contributions to third parties. of over $25,000 CDN. InSAR images created using the homogeneous distributed scatterers (HDS) technique, showing deformation from multiple surface types including asphalt. As outlined in the December 2nd, 2015 Earth Imaging Journal post, "Learn the Ground Rules: InSAR Enables Proactive Urban Infrastructure Monitoring," provides multiple examples of InSAR data being used in a variety of ways. In Q2 2016, nine of the fourteen CSA grants awarded focused on new uses for InSAR data. Images c/o MDA Geospatial Services. A project to determine if the salt on Axel Heiberg Island (Nunavut) is still rising, and if so, at what rate. The main objective will be to use InSAR measurements (likely also from RADARSAT-2) to quantify the upwards motion of diapirs, a domed rock formation in which a core of rock has moved upward to pierce the overlying strata. ($50K CDN). A 2013 Environment Canada (EC) poster outlining the development of Canada’s carbon assimilation system. In Q2 2016, the University of Toronto received a CSA grant to integrate new data derived from satellite measurements, into the program. Graphic c/o EC. The Université de Sherbrooke, which received one grant "to use RADARSAT-2 SAR interferometry combined with a hydrodynamic model" to study the hydrodynamics of the Peace-Athabasca Delta in northern Alberta. ($49.5K CDN). The University of Calgary, which received one grant to investigate the use of InSAR for quantifying estimates of calving from polar glaciers in Canada's Arctic. ($48K CDN). The University of Toronto, which received a single, but substantial grant to extend the Environment Canada carbon assimilation system (EC-CAS), which monitors CO2 and CH4 concentrations across Canada, to include data collected from the measurement of pollution in the troposphere (MOPITT) scientific instrument. MOPITT was launched into Earth orbit in 1999 as part of the NASA Terra satellite. ($240K CDN). As outlined in many previous articles, including this February 23th, 2014 post on "Canadian Firm Plans to Corner the Worldwide Rover Chassis Market," the CSA has previously attempted to develop rovers it can resell to other space programs. Its most recent attempt is its $1.2Mln CDN grant to Canadensys Aerospace Corporation in Q2 2016. Screen shot c/o Commercial Space Media. Bolton, Ontario based Canadensys Aerospace Corporation, which received a single large grant worth $1.2Mln CDN in order to develop a Deep Space compatible nano-platform architecture that can be tailored to support a variety of new low cost robotic exploration missions. Sherbrooke, Quebec based Menya Solutions, which received $532K CDN to develop algorithmic software designed to allow robotic mechanisms to reason, "anticipate events, plan and execute complex behaviors autonomously." Quebec City based NorStar Space Data Inc., which received $972K CDN in order to pursue the development of a constellation of LEO satellites equipped with hyperspectral sensors called NorthStar. It's also worth noting that nine of the fourteen grants presented by the CSA during this quarter went to various universities in order to develop new uses for InSAR derived data. At present, the primary Canadian supplier of InSAR data is Richmond, British Columbia based MacDonald Dettwiler (MDA), which collects it as part of its RADARSAT-2 responsibilities. That might change over the next little while. As outlined in the October 18th, 2016 post, "A Quick Update to 'Iconic Macdonald Dettwiler is now SSL MDA Holdings, a US Based Company,'" MDA seems more focused on growing its US business than on maintaining what were once its core Canadian assets. A Quick Update to "Iconic Macdonald Dettwiler is now SSL MDA Holdings, a US Based Company"
Is this the new Canadarm logo? It might as well be, at least according to one Commercial Space reader, who passed this graphic along last week. MDA currently manages, supports and builds a variety of Canadian civilian and military assets including the Canadarm (used in the recently retired US space shuttle) the Mobile Servicing System on board the International Space Station (shown above and also known as the Canadarm2), RADARSAT-2 and the upcoming RADARSAT Constellation Mission (RCM). Graphic c/o @Space_blog. First of all, the mass media has taken note of the story. The October 17th, 2016 National Post article, "U.S. firm stages ‘stealth takeover’ of Canada’s largest space tech company," has quoted Steven Staples, the vice president of the Ottawa based Rideau Institute, which was instrumental in the 2008 battle to stop the US purchase of Macdonald Dettwiler’s (MDA) space division to US based Alliant Techsystems (ATK), as stating that, "what you’re seeing (with the current changes at MDA) is a stealth takeover of sensitive technology that Canadian taxpayers paid for." Steve Staples. Photo c/o Wikipedia. Since MDA is now, by its own admission, a US based company “US law is now governing vital Canadian security and space assets," he said. Don Osborne. Photo c/o LinkedIn. To be fair to Osborne, he also reminded us that “companies have very complicated legal structures for all sorts of reasons." Some of those reasons were discussed by both Staples and Commercial Space blog editor Chuck Black, who was also cited in the article. Secondly, the Federal government is also slowly developing a public awareness of the situation. An investment is subject to net benefit review when a non-Canadian acquires control of a Canadian business in a manner set out in the Act. An acquisition of control includes investments where: a non-Canadian acquires a majority of the voting interests in a corporation or other entity; less than a majority but one-third or more of the voting shares of a corporation unless it can be established that the corporation will not be controlled by the non-Canadian; or, all or substantially all of the assets used in carrying on the Canadian business. Mellon was responding to an October 7th, 2016 Commercial Space blog e-mail request to Philip Proulx, a press attaché to innovation minister Navdeep Bains for "an interview with a subject matter expert to discuss the importance of MDA to the Canadian economy, our current Federal innovation agenda, and why the current MDA board actions have not automatically triggered a review under the Investment Canada act." That requested interview seems to have been blown off by the innovation minister, at least for now. We'll update this article as new information becomes available. Online ad for membership on the Federal governments Space Advisory Board. Its creation was one of the recommendations of the Federal Review of Aerospace and Space Programs and Policies (or "Emerson Report") which was presented to then Industry Minister Christian Paradis in November 2012. Screenshot c/o ISED. The Innovation Ministry has however, announced that "the Government of Canada is seeking candidates for a Space Advisory Board that is inclusive, forward-thinking and positioned to drive innovation and science in Canada, and that will help identify future opportunities for economic growth that will benefit all Canadians." As outlined in the just updated federal government website, "ISED Portfolio Ministerial Appointment and Nomination Opportunities," the new committee is "part time," but will "support the development of long term priorities for space, as part of an inclusive Innovation Agenda for Canada to help businesses grow, innovate and export, led by the Minister of Innovation, Science and Economic Development." There is no word on whether the new space advisory board will replace the last one, which was first discussed in the November 9th, 2014 post, "Industry Minister Moore Announces Space Advisory Board Members." That board was originally composed of an illustrious group of known space experts, including retired astronaut Chris Hadfield and retired general and former Canadian Space Agency (CSA) president Walt Natynczyk, and even convened once or twice, but never publicly issued a report. 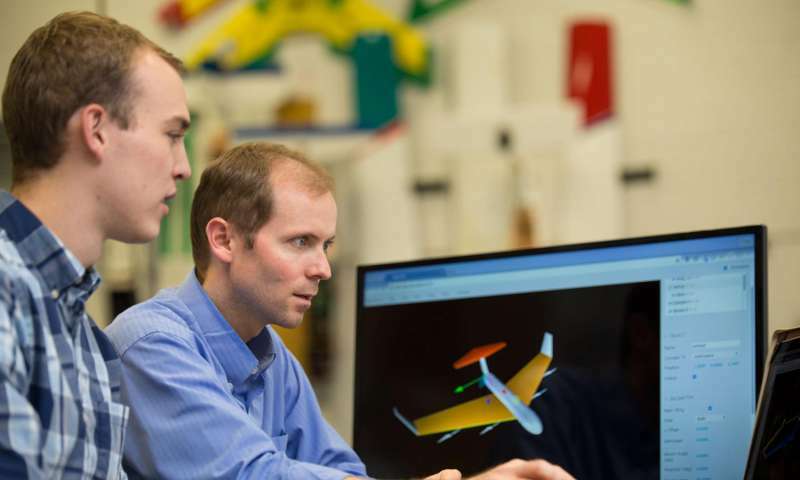 A Utah State University (USU) professor has made a free aerodynamics simulation tool that could revolutionize the unmanned aerial vehicle (UAV) industry. USU aerospace engineering faculty member Doug Hunsaker has created a free aircraft design software tool. Photo c/o USU. The tool, called MachUp (a likely wordplay on the popular Trimble SketchUp software), is a web-based tool (also available on smartphones and tablets) that allows individuals to design an aircraft, then calculates aerodynamic information (i.e. lift, drag, stability) for their design. MachUp renders 3D models in a user’s web browser, smartphone or tablet while performing the complex aerodynamic calculations on a dedicated server. As outlined in the October 6th, 2016, Tech Xplore post "Aerospace engineer creates free 3-D aircraft design software," MachUp’s creator, Doug Hunsaker, an assistant professor of mechanical and aerospace engineering at UTU (and a former Scaled Composites engineer), originally developed it with the goal of putting a useful design tool into the hands of engineers at UAV startups. Now, Hunsaker wants anyone interested in drone design to be able to harness it. As UAVs play an increasing economic role in the coming years, MachUp could prove a boon to small UAV makers. Most software capable of simulating aerodynamics is used only in large aerospace firms and commands steep licensing fees. As applications expand, UAVs will be utilized in an increasing variety of tasks. Each of these tasks will require a specialized design. MachUp provides a professional-level tool that enables such specialization---for free. MachUp’s users include Embry-Riddle Aeronautical University, the Virginia Polytechnic Institute and State University (Virginia Tech) and the Massachusetts Institute of Technology (MIT). A parallel can be drawn between MachUp and free software tools like Krita (digital painting), Ardour (digital audio) and OpenShot (digital video). Like these tools, MachUp provides professional-level capabilites to the general public and help to level the playing field between large and small corporations and individuals. With the sea changes now taking place in both the space and aerospace industries, the more talent that can be brought to bear, the better. As discussed in the October 3rd, 2016 post, "Sixteen Organizations Currently Developing Small-Sat Launchers," a multitude of start-ups, legacy space companies and national space agencies are currently developing small-sat launchers and/or components using a variety of cutting edge and/or proven technologies. While "rocket science" is still complex, the knowledge it takes to build one is becoming more widely available. As well, not all launchers are microsat launchers. 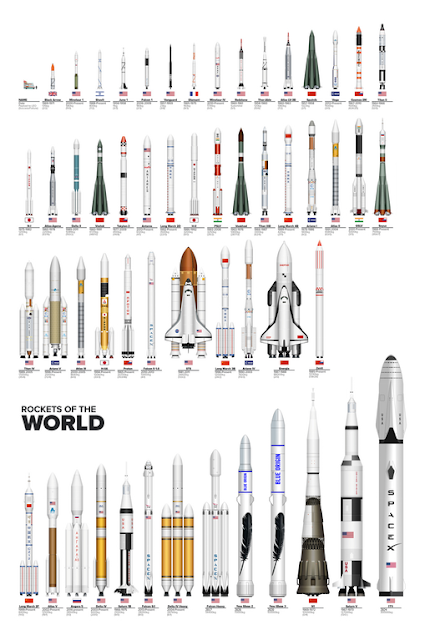 As outlined in the October 9th, 2016 Reddit Space post, "Rockets of the World circa 2025," there are also dozens of other rockets capable of hoisting larger payloads to orbit either flying now or expected to be coming into service over the next decade. Graphic c/o Skrabek. The Lockheed Martin (LM) Athena 2C - As outlined in the December 14th, 2012 Lockheed Martin press release, "Lockheed Martin Athena Launch Vehicles Selected as an Air Force Launch Services Provider," large aerospace contractors sometimes do get involved in small-sat launcher development. This particular program, funded by the US Air Force as part of its orbital/suborbital small and medium space lift program (OSP-3), was designed to upgrade the Athena class of US rockets to launch small- and medium-class orbital and sub-orbital payloads. As per the March 2nd, 2015 Space News post, "US Air Force Considers Extending OSP-3 Launch Contracting Vehicle," the program has been extended until 2019 and currently has several hundred millions of funding available for launch and testing. That money may remain unclaimed, since rumor has it that LM has wound down their Athena program. The Rocket Crafters Intrepid Rocket Family - As outlined in the September 15th, 2016 Florida Today post, "Rocket Crafters aiming for weekly launches," the company "is developing hybrid rockets to lift small satellites — micro and cubesats — into space" They say their rockets will make launches safer, more affordable and more accessible to companies and colleges through the use of 3D printing technologies. They've also partnered with the Florida Institute of Technology and expect to begin testing as soon as funding is secured. The Rocket Lab Electron Rocket - This US based company, founded in New Zealand in 2006 by CEO and CTO Peter Beck (with internet entrepreneur Mark Rocket as co-director and seed investor), is considered one of the favored players in this group, because of their adequate funding, large project team and the perception that their listed capabilities and timelines are an accurate representation of reality. The Rocket Lab Electron rocket is expected of being capable of delivering payloads of 150 kg to a 500 km Sun-synchronous orbit. The Electron test program is scheduled to run over the second half of 2016, with commercial flights commencing in 2017. Those flights are scheduled to begin in 2017 and are expected to cost $4.9Mln USD ($6.46Mln CDN) per launch. The Rocket Star Aero-spike Engine - A New York based company with an idea for a low-cost, re-usable aero-spike engine, a good promotional video, but seemingly not much else, at least as described in the November 19th, 2015 Popular Mechanics post, "RocketStar Wants To Make Going To Space a One-Step Process; First, they've got to make their rocket fly." According to the article, a" sounding rocket will launch sometime in the next few months (the date is still being worked out with NASA), and will provide an in-air demonstration of the aerospike rocket. Once it reaches its ceiling of 10,000 feet, it will break apart into four pieces and return to the ground safely via drogue parachute." Almost a year later, we're still waiting. The Scorpius Space Launch Company Demi Sprite - Once called "Hawthorne's other rocket company," at least according to the November 2nd, 2015 Space News post, "Hawthorne’s Other Rocket Company," the current corporate focus is on the design and sale of all-composite cryogenic pressure vessels (a useful component of liquid fueled rockets) but not the design and sale of complete rocket systems. According to online accounts, funds for the Scorpius (now Micrososm) Demi Sprite began drying up in 2012, but the company is included in this list because of its listing in the September 23rd, 2015 Parabolic Arc post on "Multiple Small Satellite Launch Vehicles Under Development." The SpaceLS Prometheus Launcher - This UK based company is supposedly building a hydrogen peroxide (HTP) and kerosene based rocket, based upon the British Black Arrow design which successfully launched the 66 kg Prospero satellite into low Earth orbit in 1971. The company seems to have no sources of funding for the research and development required to move forward and only drawings to prove its engineering acumen. Those drawing will won't matter as much as its future success in raising funds for R&D. The SpaceFleet Association EARL Project - The Spacefleet Association is "part of a consortium" which has submitted a bid to the European Commission for Horizon 2020 development funding to support the EARL-D5 programme. As outlined in the April 4th, 2015 Rocketeers.co.uk post, "Spacefleet: EARL-D3 successful test flight," the association reported a successful test flight of the 0.75m EARL-D3 subscale RLV demonstrator at the Malina military firing range in Romania, in April 2015. According to their website, the "Spacefleet EARL Project will demonstrate that a payload can be lifted into space (later, into orbit) at low cost, using three near-identical autonomously-piloted, rocket-powered lifting bodies, which can be re-used many times." The Stofiel Aerospace Bella High Altitude Balloon Launcher - So far unfunded, but stratospheric balloons are cheap, at least when compared to rockets, and this company, created by four Kent State University military veterans, plans to use them as a first stage, in order to provide "on site" micro/nanosat launch services. They may even have a useful market niche. As outlined in the October 4th, 2016 Design Engineering post, "Canadian Space Agency announces Stratospheric Balloon Flight research grant opportunity," the Canadian Space Agency (CSA) and others utilize balloon launches as a research and development component for testing the performance of components in vacuum, as a preliminary to integrating them into a satellite. The Swiss Space Systems (S3) SOAR Project - Another air launch system, utilizing a "Zero-G certified Airbus A300," flying in a parabolic arc to launch SOAR, a "partially" reusable air-launched space plane launch system designed to launch small satellites on a suborbital or orbital trajectory. The company is privately owned/ incorporated in Switzerland, and funded through a variety of sometimes unclear methodologies. It also possesses substantial Russian connections, including the NK-39 engine which will be used for SOAR (developed by Roscosmos, the Russian Federal Space Agency) and a contract with the Russian firm RKK Energia to develop the upper stage. The September 14th, 2016 Swissinfo.ch post, "Jaussi was threatened before attack," said that Pascal Jaussi, the chief executive of S3 "who was brutally attacked several weeks ago is out of the hospital and says he had been receiving threats before the attack. He also admitted that his company is facing financial trouble." The Ursa Major Technologies Hadley and Ripley Rocket Engines - A small group of Colorado based ex-Blue Origin employees currently without major funding. To compensate, they have decided to focus on engine development for other rocket builders. The Ursa Major Hadley "is a 5,000 lbf sea level thrust, liquid oxygen and RP-1 engine." The Ursa Major Ripley engine is "a 35,000 lbf class, liquid oxygen and hydrocarbon engine" capable of being configured to carry 150kg payloads to low earth orbit as required under the October 15th, 2015 NASA Venture Class Launch Services Awards, which doesn't mean that they necessarily plan to build entire launchers, but might suggest that they plan to continue to build engines for others. The Vector Space Systems Vector R (Rapid) and the Vector H (Heavy) launchers - According to the company website, "the two launch vehicles share common technology and launch facilities including pressure fed ablative engines, carbon fiber fuselage, LOX/Propylene fuels and mobile launch capability. " Vector R is rated as being able to place 50kg into orbit while Vector-H is rated as being capable of placing 100 kg into orbit. As outlined in the September 8th, 2016 PR Newswire press release, "Vector Space Systems Awarded $2.5M in NASA and DARPA Contracts," the company is currently being funded under a series of US government small business innovation research (SBIR) and small business technology transfer (STTR) programs. The Ventions Inc. Small Air Launch Vehicle to Orbit (SALVO) - SALVO is an air launch to orbit approach using US Air Force F-15E's, funded by the Defense Advanced Research Projects Agency (DARPA) and the US Air Force. As outlined in the June 19th, 2015 Defence Systems post, "Airborne 'stealth launch' of CubeSat said to be underway," the program may already be operational, as a technology demonstrator for the more ambitious Airborne Launch Assist Space Access (ALASA) program. which was seemingly cancelled in late 2015. As outlined in the June 2nd, 2015 Satellite Today post, "Generation Orbit Gains GOLauncher 2 Commitments, Plans GOLauncher 3," Ventions will also be providing the rocket engines for the Generation Orbit GO Launcher series of air launch to orbit vehicles. The Virgin Galactic LauncherOne - Another air launch to orbit design, this time using knowledge derived from the Scaled Composites SpaceShipOne, which won the $10Mln USD ($13.2Mln CDN) Ansari X Prize in 2004. Perceived as having the funding, expertise and knowledge needed to (mostly) fulfill their announced roll-out and timeline, the LauncherOne system is an an expendable, two-stage, liquid-fueled rocket air-launched from a White Knight Two carrier aircraft in a similar configuration to that used by Orbital Sciences' Pegasus. Flights are expected to begin sometime in 2017. The XCor Aerospace Lynx Mk III Suborbital Spacecraft - This partially reusable design, was intended to use a standard Lynx Mk II suborbital production spacecraft with an additional 650 kg (1,430 lb) external dorsal mounted pod large enough to hold a two-stage carrier to launch a single micro-satellite (or multiple nano-sats) into low-Earth orbit. But, as outlined in the May 31st, 2016 Space News post, "XCOR lays off employees to focus on engine development," those plans were put on hold as the company pivoted to focus on a liquid hydrogen engine being developed under contract with United Launch Alliance (ULA). The current plans could certainly change again, as new funding becomes available. Zero Point Frontiers Corporation (ZPFO) - Founded in 2008, and not so much a designer of small-sat launchers as it is a subcontractor to others, ZPFC started out assisting government and commercial agencies with studies relating to heavy lift launch vehicles and their use beyond Earth orbit under the cancelled NASA Constellation program. More recently, the company has worked with SpaceX, Blue Origin and Firefly Space Systems. There is no doubt that ZPFO, while currently not working on a dedicated, in-house launching system, could certainly build one quickly if there was a client requirement. The Zero2infinity Bloostar Launcher - A high altitude balloon based launcher system, designed by a privately held Spanish company. As outlined in the March 23rd, 2016 Via Satellite post, "Zero2infinity Lays Out Goals for Balloon-Rocket Launch System," the vehicle is designed to carry a 75-kilogram payloads to a 600-kilometer Sun-synchronous orbit (SSO) with a price tag of approximately $4.5Mln US ($6Mln CDN). The vehicle’s first orbital mission is currently slated for the second half of 2018 and is scheduled to be preceded by numerous suborbital development launches. As well, at least according to the article, the project has collected letters of intent worth roughly $268.4Mln USD ($356Mln CDN) in order to fund the project. The number of non-US based smallset launch developers is noteworthy. As outlined in the July 20th, 2016 Aviation Week and Space Technology post, "Dearth Of Dedicated Smallsat Launchers Challenges Fledgling Industry," many US small-sat launcher developers are concerned over the well funded competition from abroad. China's latest Mars probe design. as portrayed by the China National Space Administration (CNSA) designs released in August 2016. 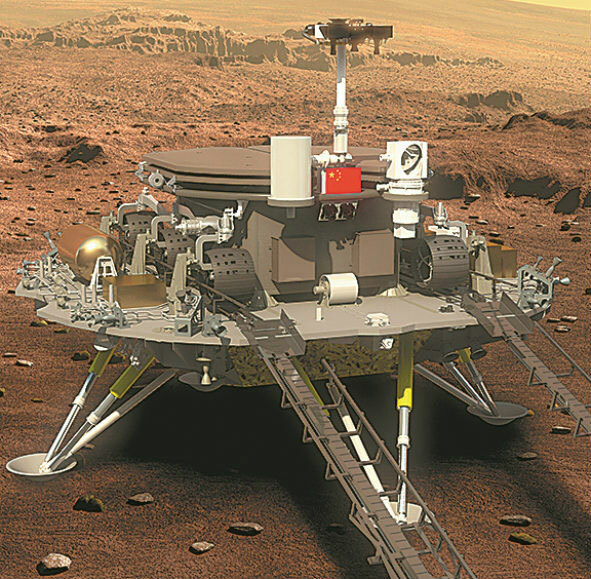 As outlined in the Aug 26th, 2016 Future Post article, "China Finally Unveiled The Rover They’re Sending to Mars in 2020," the mission "will initially go into orbit around Mars before deploying a lander that will touch down in the low latitudes of Mars’ northern hemisphere, where the rover will explore the surface," and hunt for water. Photo c/o People's Daily Online. The Chinese Ministry of Land and Resources has released a 5-year road map of geological research in Earth's polar regions, the Moon and Mars. As outlined in the October 10th, 2016 CRJEnglish post, "China to upgrade geological probe on moon, Mars," the road map will see emphasis on studying the chemical composition, gravity, magnetism and internal structure of the Moon. In addition, the road map outlines other projects including the building of terrestrial analogs to the Moon and Mars for research purposes. China’s unveiling of the road map is a follow-on to its August announcement of a Mars probe consisting of an orbiter, lander and rover. The Indian Space Research Organization (ISRO), one of only three national space programmes to have reached the red planet to date, has released a new series of beautiful Martian images using data beamed back from its Mars orbiter. As outlined in the October 10th, 2016 Mail Online post, "Stunning images of Mars beamed back from Indian space probe reveal the red planet in all its glory," the photo's were taken by India's Mangalyaan orbiter, which went into orbit around the red planet in September 2014, and has been quietly taking measurements, collecting data and capturing orbital images, ever since. Speaking of Mars exploration, NASA has decided it needs a new approach to studying Mars. As outlined in the October 6th, 2016 post, "NASA rethinks approach to Mars exploration," after 2020, scientists who participate in NASAs’ Mars missions "may no longer design and build their own highly specialized payloads to explore the red planet. Instead, planetary scientists could operate much like astronomers who use large telescopes do now: applying for time to use spacecraft built by private companies with generic suites of scientific instruments." The proposed change is being spurred by NASA’s waning budgets as well as the rise of the commercial space industry and new space faring nations. This change will certainly effect the methodologies of national space agencies like Canada, who wish to partner with NASA on future planetary science missions such as the one described in the September 26th, 2016 post, "The REAL Reason Why Canada Won't Be Participating in the NASA Resolve Mission Anytime Soon, Probably!" Back on Earth, environmentalists are coming up with some interesting, political uses for Earth imaging satellites. As outlined in the October 4th, 2016 UrtheCast blog post In a blog post "How Democratized Earth Observation Data Can Radically Change Environmental Debates," Vancouver, BC based Urthecast has begun making the case that the democratization of satellite technology and public access to scientific data will allow more transparency in environmental debates as well as increase public buy in for large resource development projects. An example of this would be Global Fishing Watch (GFW) a free service that utilizes satellite imagery to enable the public to monitor global fishing activity in an attempt to curb illegal fishing and rebuild depleted fish stocks, which was last described in the September 19th, 2016 post, "New Leonardo DiCaprio App Tracks Fishy Things on the High Seas." For updates on these stories and others, check out future posts in the Commercial Space blog. Eight years after the Federal government rejected its sale to US based Alliant Techsystems (ATK) because it was not of "net benefit" to the country, BC based Macdonald Dettwiler (MDA) has quietly turned into a Delaware holding company, changed its name, added several new US based board members and moved its corporate headquarters to San Francisco. 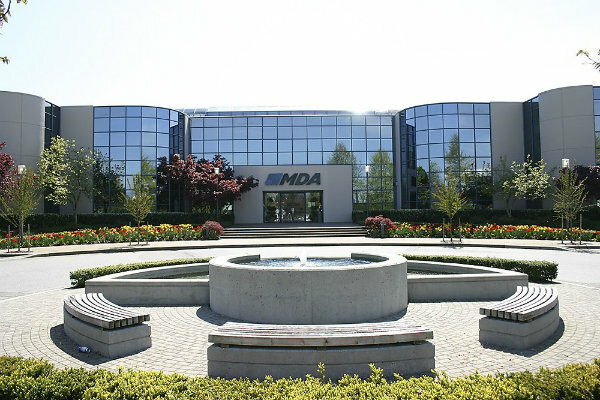 Once the headquarters of Canada's preeminent space company, MDA HQ in Richmond, BC is now just another regional office for a Canadian subsidiary of a giant US multinational. Photo c/o T-Net. And those actions seem to have been undertaken without triggering a formal review under the Investment Canada Act (ICA), the Canadian Federal law governing large, foreign direct investment in Canada, which was used as the legal basis for rejecting the 2008 sale. MDA is the iconic Canadian space company which manages, supports and builds a variety of Canadian civilian and military assets including the Canadarm, RADARSAT-2 and the upcoming RADARSAT Constellation Mission (RCM). According to the October 3rd, 2016 MDA press release, "MDA announces board and senior executive appointments to enable US Access Plan implementation," the current actions by the MDA board have built upon previously announced plans designed to gain access to the lucrative US military and civilian satellite marketplace. Those plans include the creation of a San Francisco, California based holding company (SSL MDA Holdings) to serve as the operating entity for "all MDA businesses, including both the US and Canada." Richmond, BC based MDA which, as outlined in the June 27th, 2012 post, "MacDonald Dettwiler buys Space Systems Loral for $875M," purchased Space Systems Loral (SSL) outright in 2012, will now function as a subsidiary of the new SSL MDA Holdings Inc., as will Palo Alto, California based SSL. New SSL MDA Holding CEO Lance. Photo c/o NAB. Previous actions included the establishment of SSL MDA Holdings, Inc., a Delaware corporation, which will serve as the operating company for all MDA businesses, including both the US and Canada. 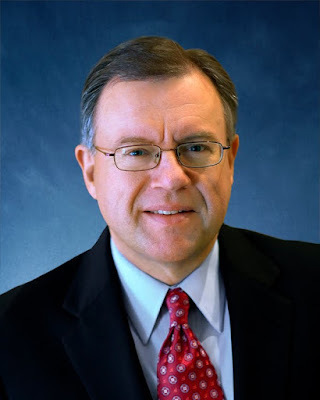 Howard L. Lance, MDA president and chief executive officer, has been appointed chairman, president and chief executive officer of SSL MDA Holdings, Inc., with its headquarters office in San Francisco, CA. Eric Zahler and Lori Garver, members of the MDA board of directors, have been appointed to also serve on the SSL MDA Holdings, Inc. board of directors. In addition, two new outside directors have been appointed. The additional SSL MDA board appointments include retired USAF General C. Robert Kehler (just coming off a distinguished US military career with a deep focus on space strategy and policy) and Joanne O. Isham, a former senior executive within the US intelligence community who has acted as deputy director of the National Geospatial Intelligence Agency (NGIA), the deputy director for science and technology and the director of congressional affairs at the Central Intelligence Agency (CIA), and the director of legislative affairs at the National Reconnaissance Office (NRO). The new appointments follow a common pattern in the space industry of appointing military and intelligence experts. As outlined in the February 23rd, 2015 post, "The Growing Military Importance of Earth Imaging,"other Canadian companies, including Vancouver, BC based UrtheCast, have recently been bolstering their board as a preliminary to soliciting large US government and military contracts. New SVP & CFO Bill McCombe. Photo c/o SSL. 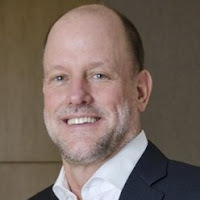 According to the press release, William D. McCombe has been appointed senior vice president and chief financial officer of SSL MDA Holdings, although current MDA executive vice president and chief financial officer Anil Wirasekara will retain his post. As outlined in the April 10th, 2008 CBC News post, "Federal government blocks sale of MDA space division," the last time MDA attempted to relocate itself to the US, the Federal government under then Prime Minister Stephen Harper, blocked the sale, citing ICA provisions requiring a "net benefit" to Canada resulting from the sale. But according to Macdonald Dettwiler (MDA) corporate communication manager Wendy Keyzer, no money has changed hands and no sales have taken place. Therefore, "the Investment Canada Act does not apply" and any review would "require a transaction by a foreign investor of a Canadian company of over a threshold of $600Mln"she said, in an e-mail interview on October 5th, 2016. If you are not a Canadian citizen or a permanent resident, within the meaning of the Immigration and Refugee Protection Act (i.e., a person who has been ordinarily resident in Canada for not more than one year after the time at which he/she first became eligible to apply for Canadian citizenship), then you are a non-Canadian and must comply with the provisions of the Investment Canada Act. For the purposes of the Act, a non-Canadian includes any entity that is not controlled or beneficially owned by Canadians. As outlined in the exemptions section of the Investment Canada Act, those exemptions are numerous and subject to legal interpretation. Neither Keyser nor others at MDA have responded to follow-up questions related to this story and a request for an interview with subject matter experts at the Federal Ministry of Innovation, Science and Economic Development to discuss MDA compliance with the terms of the Investment Canada Act has, so far at least, not been confirmed. This article will be updated as new information becomes available. What happened the last time MDA tried to relocate control of its space assets to the US. As outlined in the April 10th, 2008 CBC News post, "Federal government blocks sale of MDA space division," then Industry Minister Jim Prentice said he was "not satisfied" the sale would be a net benefit for Canada and rejected it. Screenshot c/o CBC. 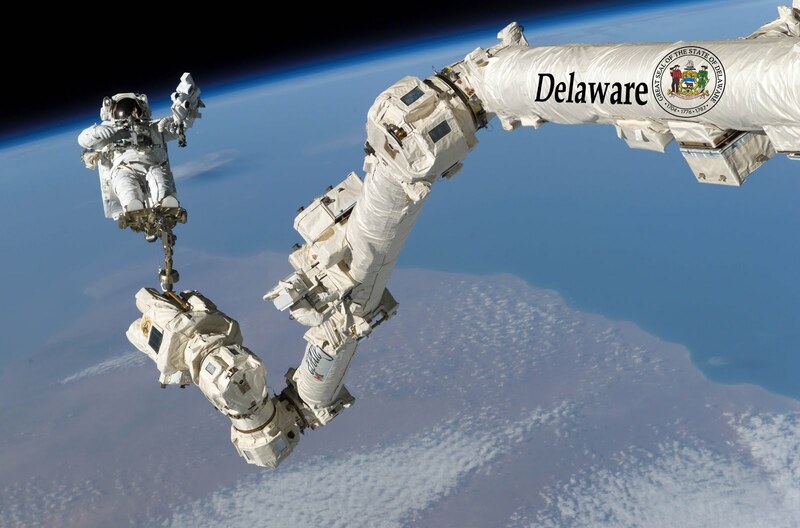 Over the last year, two of the three largest Canadian space companies (MDA and Cambridge, ON based COM DEV International, which was purchased by New Jersey based Honeywell International in January 2016), have ended up as subsidiaries of US based corporations. Ottawa based Telesat Canada, the third of what were once the "Three Kings" of the Canadian space industry, has been unsuccessfully trying to sell itself off for years.